The Nehemiah Group is a 501©3 non-profit community development and social service corporation committed to serving the underserved and empowering the underprivileged. Imagine a place where people live with little hope for the future. Imagine a place where tents replace houses, suitcases replace dressers and sterno cans replace stoves. Imagine a place where there is no running water, no electricity, no public sewer system, little food and little protection from the elements. Can you see it? Can you imagine such a place? Now imagine this place not in a 3rd world country or in some distant, far removed land, but right here in America, in our own back yard. Right now, in America, in the City of Camden, NJ is a place called Tent City where people live in the conditions I just described to you. 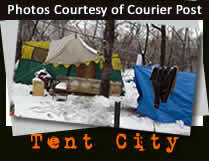 In fact, the residents of Tent City had to endure one of the worst winters on record last year with over 78” of total snowfall in a tent or makeshift hut. In the land of opportunity, opportunity seems to have passed some of us by. 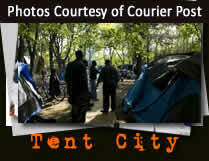 Never heard of Tent City? You’re not alone. Most people don’t realize that this level of abject poverty exists in America, but it does; and whether we see it or not, it continues to exist and grow in scale. The Nehemiah Group mission is to serve the underserved, empower the underprivileged, and create prosperity through community revitalization. The vision is focused on community revitalization and stabilization through a comprehensive plan for economic and community development, providing a tomorrow of hope, promise and opportunity. Founded in 1999, The Nehemiah Group exists to equip, mentor, counsel, and empower transitional men and women striving to recover from a life of crime and life-controlling problems. We provide a comprehensive approach to recovery for each person including the physical, mental, social, emotional, and spiritual aspects of their lives. Our vision is to provide a refuge for people desperately seeking to change their behavioral destructive lives, to become productive and healthy members of society. We have consistently demonstrated our foundation is solid, our leaders are passionately committed, and we have the vision and energy to accomplish what we undertake. Founded in 1999 The Nehemiah Group came about through the unfortunate closing of a transitional housing program that lost its funding and was ordered to vacate the premises. Amir Khan was told by a colleague that her brother and fifteen other men were going to be put out on the street with nowhere to live. 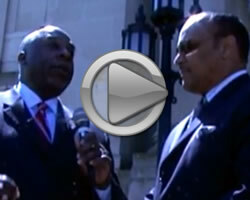 Amir Khan’s passion to help those in need and serve the under-served led him to birth The Nehemiah Group. A building to facilitate these men was purchased within days. We began organizing our efforts helping them receive the practical and material assistance they desperately need to move from a life of dependency to an independent, productive and meaningful life. Over the past ten years we have been diligently and passionately mentoring prisoners and ex-prisoners. In 2001, we acquired a single-family transitional house for women and a 40-bed facility in Bridgeton, NJ called the Genesis House. We provided housing, food, employment assistance, elementary counseling and a full recovery curriculum.